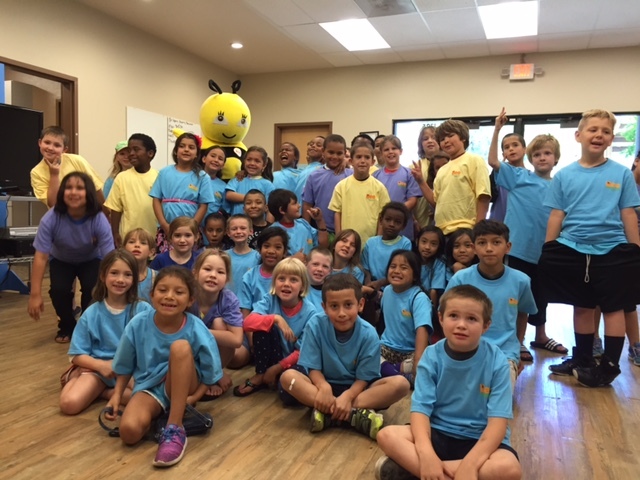 Members of the Salem, Ore., Boys & Girls Club learn to BEE Responsible! This week RISE (Responsible Industry for a Sound Environment)® joined forces once again with Boys & Girls Club members in Salem to better understand the delicate balance of the ecosystem in which people live, and the impact that honeybees along with invasive plants and insects have on that balance. The club members were also able to take action toward promoting pollinator health by creating habitats among the clubs’ outdoor spaces. The habitat project included planting pollinator-friendly flowers, provided by RISE, to give each outdoor space a fresh look and enable more forage for pollinators. The activity gave club members the opportunity to learn more about maintaining outdoor spaces and the relationship between native and invasive species. Boys & Girls Club members took ownership of the maintenance and beautification of their club by participating in the landscaping efforts. Establishing pollinator habitats by planting forage for honeybees was one of many activities club members were able to participate in. In addition to learning about ecosystems and planting, a special appearance was made by the “Super Bee” mascot, who taught members how to promote pollinator health and understand the importance of providing pollinators a diverse range of foraging options. Members were also able to watch a video from a real beekeeper about the role honeybees and beekeepers play in protecting our environment. Create a bee hotel or nest box and a water feeder with a wet surface made of sand, soil or brick to contribute to sustaining life processes. Plant native flora. Growing native flowers and plants will adapt better to where you live and provide a familiar food source to local pollinators. Welcome pollinators to your backyard by choosing pollinator-friendly plants. Bees prefer blue, yellow, or bright white flowers that have a large landing surface and shallow shape. Plant generously. A large amount of flowers is more attractive to pollinators than single plants. Increase flower space and plant species diversity by planting gardens, fruit-bearing trees, hedgerows, and flowering shrubs. Planting a variety of flowers that bloom throughout the growing season provides continual pollinating opportunities. For more information, visit www.debugthemyths.com/beeresponsible, join in the conversation using the hashtag #BeeResponsible, or follow us on Twitter @DebugtheMyths or on Facebook at facebook.com/DebugtheMyths.